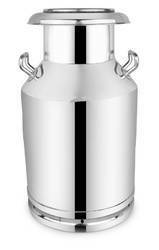 Our range of products include 50 litre ss milk can, 20 litre stainless steel milk can and stainless steel milk can. Our organization is offering wide assortments of 50 Liter SS Milk Can which are available in various design and attractive patterns. These offered ranges are highly demanded in the market for their high-quality norms. Furthermore, offered the range of products are widely appreciated and demanded across the industry for their attractive price range. The offered range of products is available in bulk and we assure timely delivery to our valued clients. 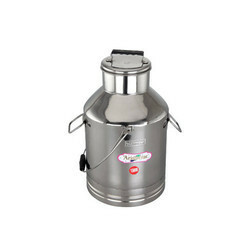 Being the leading names in this domain, we are involved in offering the best collection of 20 Litre Stainless Steel Milk Can to our clients. These cans are developed in strict adherence with the international quality standard and parameters to attain our customer satisfaction. The offered range of cans is fully furnished as per the latest corporate norms and specifications. In addition to this, our clients can avail these products as per their specific requirement at best market rates. 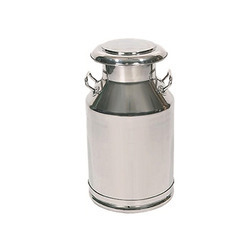 To maintain our immense reputation in this market, we are presenting an optimum quality collection of Stainless Steel Milk Can for huge client base spread across the nation. Our provided products are extensively recognized and demanded by the clients for their exact performance and unmatched quality standards. Offered products are assembled using optimum grade basic components taken from best suppliers of the market.